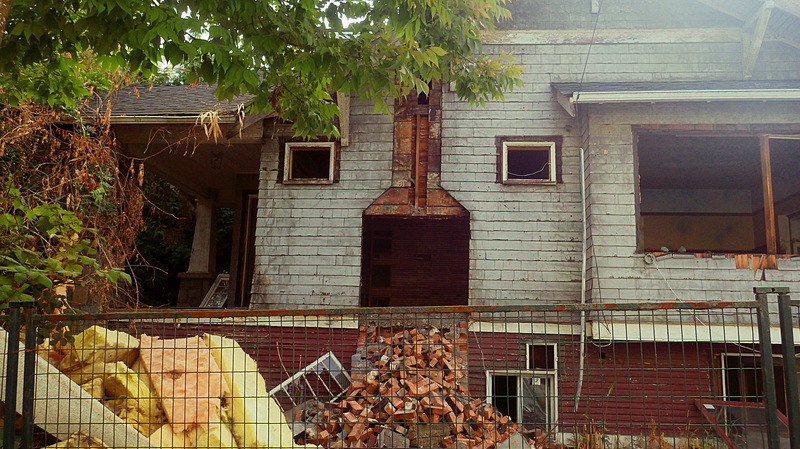 imagining faces, old house, renovation, Vancouver B.C. Agape and distressed. The house at 482 West 18th Avenue. 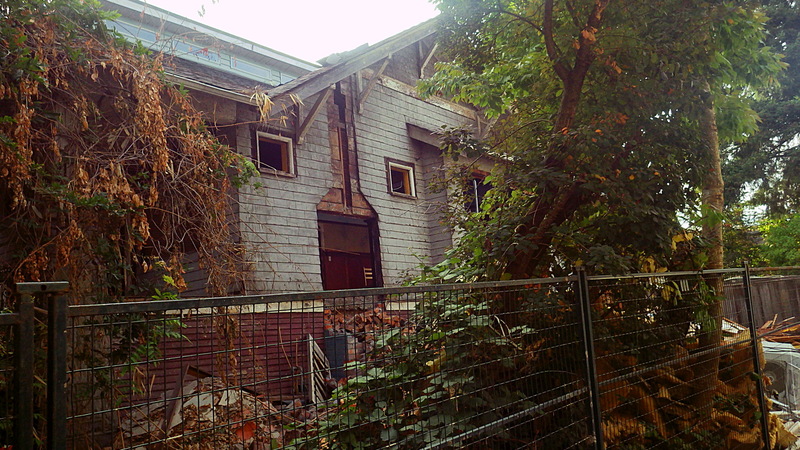 It pained me this morning (September 26) to see the old house at 482 West 18th Avenue, stripped as it was of its occupants, its interior walls, its glass and, frankly, its dignity. Actually, with its wide open, empty windows and gaping maw on the first floor, I thought that the house looked terrified. It even looked like it barfed a load of bricks in its distress! 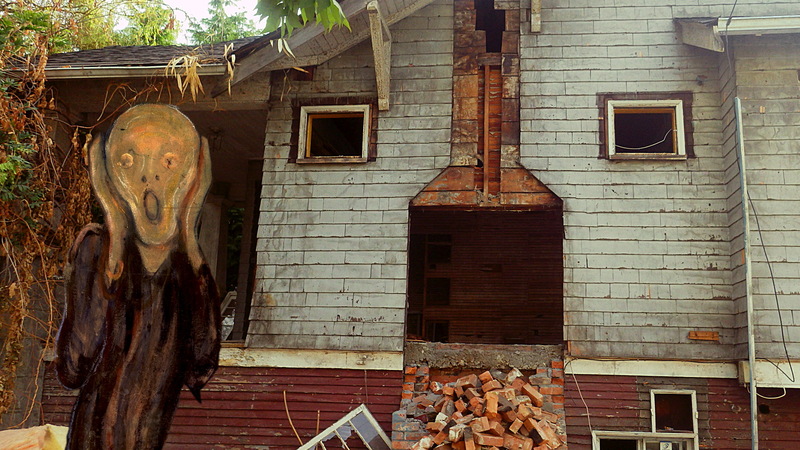 Edvard Munch’s The Scream has nothing on this house! According to the City of Vancouver’s Vanmap, the house at 482 West 18th Avenue was built in 1926 and enjoyed its biggest improvement to date 57 years ago in 1960. The entire property is fenced off now and the house itself has been virtually turned inside out, with fiberglass and what not piled high in the yard. But there is no redevelopment sign to be seen. Hopefully what we’re seeing—painful as it looks—is part of a big new improvement, rather than yet another demolition. Click the image to enlarge it. “Help! Help!”, the house seems to be calling to its neighbours. Sometimes when I’m sending a Direct message on Twitter I will press “Enter” to get a hard return, forgetting that on Twitter, this action actually sends the DM. D’oh! Now I’m distressed. Hopefully the lot will receive a new home designed in keeping with the neighbourhood.